After I spoke on radio 5 live recently about the minefield surrounding making arrangements for my disabled son after I die, I had a chat with a legal advisor Philip Warford from Renaissance Legal who was part of the team of experts who spoke on the show. Phil specialises in the law surrounding disabled children and vulnerable individuals and really opened my eyes to the options available to me and the potential issues that can arise when the correct advice isn’t given. I want to make it clear right off that I am not being paid to write this review or find referrals for him (although a few people have already asked for his info which is fine). I wanted to write up the information that Phil shared with me over our call because quite frankly, there is very little out there to help parents like me to plan for our children’s lives after our death and as a parent who loses sleep over this, I know its something that weighs very heavily on parents’ minds. 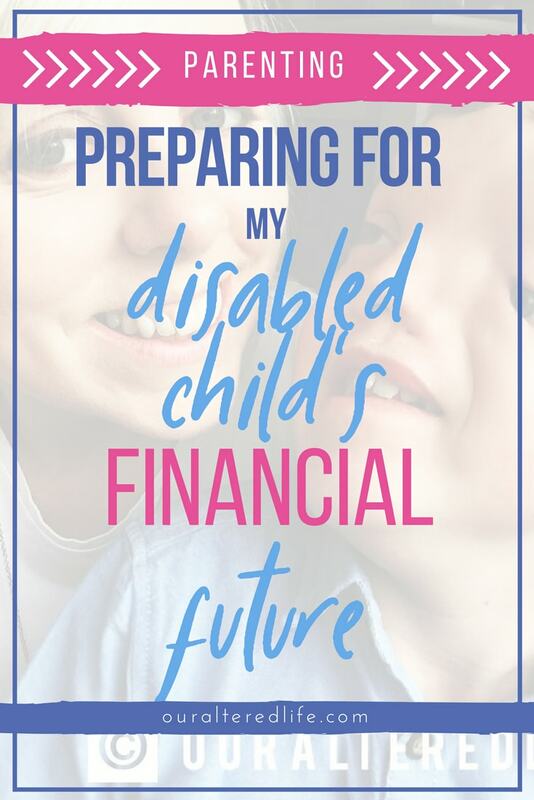 I also want to add that I am no legal or financial advisor, merely a mum passionate about protecting my sons’ future and that whatever you decide to do in the future it is vital that you get the correct advice and support. I do actually have a will which details what should happen to my life assurance on my death but it transpires that even though I have only the very best interests of my son in mind, leaving him a substantial amount of money directly actually causes issues for his financial security. What are the issues surrounding Harry and his finances? When the time comes for Harry to live somewhere other than with me (*gulps*) it is really important that he has no more than £6000 in savings. This is because some of the benefits and support (such as Housing Benefit, Income Support, Universal Credit, etc) he is entitled to are means tested and would be compromised if he had assets. If Harry is left money from me, grandparents or other relatives this potentially could leave him at a disadvantage in some ways. As well as the benefit implications to Harry being left money directly, there are issues over capacity and vulnerability. Harry will need to have the cognitive capacity to make decisions about any money he has if it is in his own name. However, being realistic, I don’t see that Harry will ever have a level of awareness required to take legal or financial advice and make sound decisions as a result. Without some form of protection in place I could find myself needing to apply to the Count of Protection for a Deputy Order which will grant me the authority to act on Harry’s behalf. This can both be time consuming and costly and, in the event that this has to happen after my death, it would only add to the emotional stress for Oliver. I really don’t want that. Even if Harry did have some capacity to manage his money, he would still be extremely vulnerable and a potential target for individuals to take advantage of him. Even individuals who may be ‘higher functioning’ on the spectrum are still at risk where they may not realise the less than genuine intentions of others. Its sad that we have to think of things like that but I have written before about the dangerous and terrifying reality that many vulnerable and unassuming adults face. What can I do to offer some protection? Phil advised that the best way to protect Harry’s financial interests would be to create a trust fund for him. 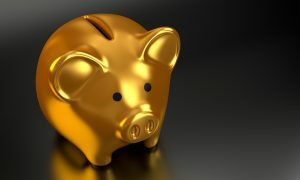 He used the analogy of a piggy bank to explain that money can be added to the trust fund at any time; in the form of regular savings, endowments, gifts, inheritance etc. 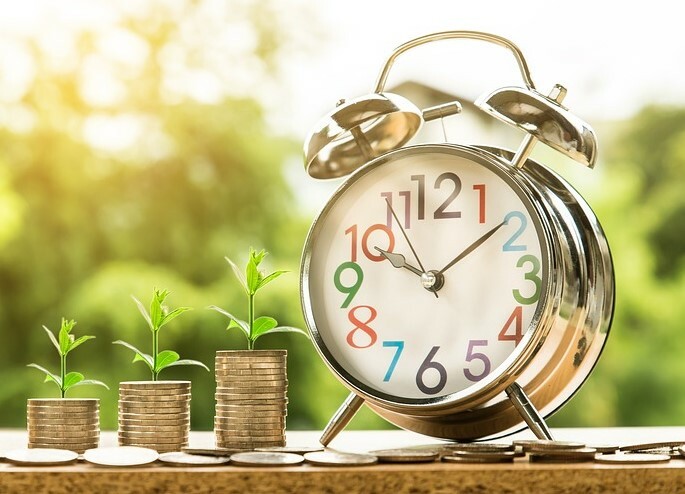 Some assets on my death such as the proceeds from a house sale, my savings and investments will be paid directly into the trust as stipulated in my will. Other assets such as pensions, life assurances and death in service benefits can be directed straight into the trust, so they by-pass my will. This ensures that Harrys savings remain at a level where he can still access the benefits he is entitled to but he will have his financial security. So what does the trust fund actually cover? The trust fund could also be used to top up basic payments for accommodation placements if I felt that I wanted Harry to have different accommodation to the one allocated by the local authority. 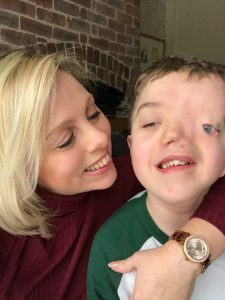 Benefits help Harry to survive, a trust fund will allow him to thrive. There are various seminars held around the country which are run by Mencap, each lasting 2 hours which are totally free of charge (although donations are always appreciated). Attendees are given a free information pack, an explanation of all the available options by a legal professional speaker with expertise in this area and a questions and answer session where the speaker will answer any questions you may have on writing a will, the legality of safeguarding a loved one’s financial future, how to set up and run a discretionary and disabled persons trust and the implications of not having the correct provisions in place. There is no obligation at all so it’s a fantastic opportunity to learn more with no pressure. I have booked onto a seminar in London in November which I will be attending with my boys Dad as its really important that we both have the information first hand and the opportunity to have any questions answered. I never thought I would be looking forward to planning for Harrys life after my death but the thought that I can leave him as financially comfortable as possible to ensure he can still live the life he deserves really does excite me. I will be blogging about my journey as I plan for his finances and look into the practicalities of accommodation etc so stay tuned and ill share everything that I learn about creating a life my sons deserves today and always. This is so useful and something that I think about so often and at the same time don’t think about as I can’t think about it! I must look into this asap!